Volunteering is a key component of Vintage Aircraft Association membership. Our Board of Directors and Officers are elected by the membership. One-half of the officer team and one-half of the directors are elected each year to serve two-year terms. Our current Officers, Directors, Board Advisors, and Directors Emeritus are listed below. Susan began flying at the age of 15 on a private airport (Overton Field) located near her shared hometowns of Andrews and Pawley’s Island, South Carolina. She earned her private pilots certificate during her senior year in high school. Susan is a graduate of Francis Marion University holding a degree in accounting and business administration. While in college Susan earned her Commercial, Multi-engine, Instrument and Flight Instructor Certificates. After college Susan enrolled in a two year Airframe and Powerplant Mechanics course and graduated with an Associate Degree in Aviation Maintenance Technology.Susan is a longtime EAA and VAA member and volunteer and is currently serving as President of Vintage Chapter 3. Susan recently retired from the national EAA Board of directors after serving for 20 years and also, recently retired from ABX Air (formally Airborne Freight Corporation) after flying 25 years of night freight. 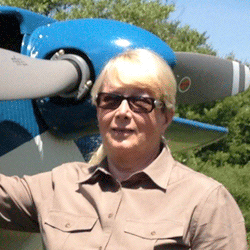 Over time Susan has owned and/or restored several vintage airplanes including an Aeronca 7AC “Champ”, a Luscombe 8A, an Inland Sport, a KR-21 and a Culver “Cadet”. She now owns and flys a 1953 Cessna 180 and a 1937 Taylor J-2 “Cub” from her farm in North Carolina and is currently restoring a 1935 Stinson SR-6 “Reliant”. Tim joined EAA in 1988 and is now a lifetime member. He began taking flying lessons and attended his first EAA Convention that same year and has attended every convention since. Tim earned his private pilot’s license in 1989 and later added a tail wheel endorsement and an instrument rating. He joined VAA in 1994 about the time he began volunteering with the VAA Contemporary Aircraft Judges and currently serves as the vice-chairman of the group. He owns a 1958 Cessna 172, which he purchased in 1994 and has slowly restored over the years. He is currently building a Van’s Aircraft RV-7. 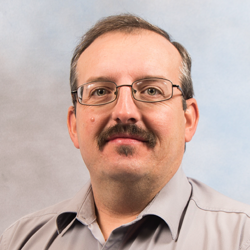 Tim is an active member and past president of EAA Chapter 221 in Kalamazoo, Michigan. He is an active Young Eagle program participant having flown more than 500 Young Eagles over the years. He earned his Bachelor’s and Master’s degrees from the University of Michigan and is an Environment, Health & Safety manager for a major pharmaceutical company. 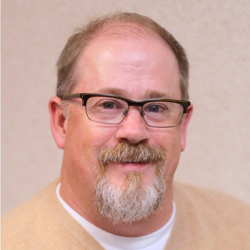 He has been happily married for over twenty-five years to his wife Liz, who also actively volunteers with the VAA. .
Steve was born in Albert Lea, Minnesota, and grew up on a farm near there. Having a deep interest in aviation, he received his private certificate in 1967. In 1975 he purchased a 1946 Navion from his father. After joining EAA in 1967 at Rockford, Steve has attended 43 consecutive EAA conventions. 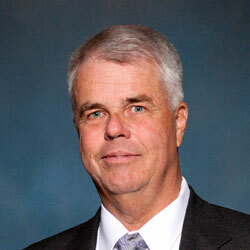 A charter member of VAA Chapter 13, Steve has served as vice president and president of that chapter. Currently he serves as chairman of the Metal Shaping Workshop and Tall Pines Café at AirVenture. After serving two years as an advisor and later as a director, he has been serving as secretary of the Vintage Aircraft Association since 1991. As a member of EAA and VAA since 1983, Jerry has served as an Antique Classic Judge since 1999 and has received his 50 mission Young Eagles pin. He received a Bronze Lindy in 1991 and again in 1998 as VAA Customized Antique Champion. Since his retirement in 1989, he has worked full time restoring WACOs. He is involved with most phases of the restoration process including engines and airframes. He emphasizes the importance of having younger enthusiasts participate in restoration work by providing hands-on experience for them in his WACO shop. 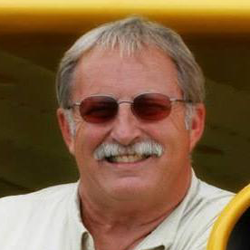 Jerry is a member of EAA Chapter 729 and served as Treasurer of the American Waco Club for 16 years. Jerry is a private pilot, SEL, MEL with 3,000 plus hours in single engine airplanes, 1,000 of which is with conventional gear. His business and community service includes 25 years as founder and CEO in plastics manufacturing and the custom sportswear business as well as serving on the Board of Trustees of Franklin College. As a child, Dave built almost every type of flying model airplane. Dave learned to fly in J-3 Cubs in 1958 in Indianapolis, where he and his wife, Wanda, moved so he could attend pharmacy school at Butler University. He has owned an Aeronca Chief, an Aeronca Scout, and two Tri-Pacers. Dave has been working on and restoring airplanes since 1969. Currently he is restoring his 1946 Aeronca Chief. After his retirement, he enrolled as a student in the Vincennes University Airframe and Powerplant (A&P) program in Indianapolis and graduated in 2005. He is now an A&P instructor there. For five years Dave served as the president of the Hendricks County Board of Aviation Commissioners to build a new airport, (2R2) which opened in December of 2001. Dave attended two EAA conventions in Rockford and has attended all but two fly-ins in Oshkosh. He served as a judge of the antique aircraft category for 25 years, served as co-chairman of Antique Judging, Chief Judge, and Vice President of Vintage. George’s love for aviation started at the tender age of 12, when he attended his first airshow at his hometown airport in Hartford, Wisconsin. He realized then that he wanted to make flying a large part of his life. He started flying in 1969 and earned his Private ticket in 1970. In 1974, George was hired as a co-pilot flying Beech 18s for a Milwaukee based charter company. His job duties also included managing the Hartford Airport on weekends. During that period George was able to check-out in many different types of antique and classic aircraft-including a Cub, Stearman, Great Lakes, and Luscombe, to name a few. Having retired after 25 years of corporate flying, George spends his time now as the Program Manager for the EAA B-17 Tour, and as a pilot on the EAA’s Ford Tri-Motor. Since 1983 George served the VAA during our Oshkosh convention as a volunteer for, or Chair of VAA Parking and Flight Line Safety and today as Vice Chairman of Vintage Field Operations. In the past George has also served the VAA as Vice President. Jon’s aviation career began in 1963, when he served as a line boy and mechanic’s assistant for Guinn Flying Service, Pearland, Texas. He earned his private pilot certificate by exchanging manual labor for flying time. After graduating in 1964 from Stephen F. Austin High School, Houston, Texas, he attended the University of Texas, where he continued to exchange work for flying time to attain commercial, instrument, and flight instructor ratings as he earned his Bachelor of Arts degree. Jon retired as a lieutenant colonel after 17 years of active duty in the Air Force. He maintained and operated general aviation aircraft throughout his Air Force career. Jon has served as president of Consolidated Aircraft Coatings of Riverside, California, a manufacturer of FAA-approved covering systems, paints, and primers for aviation. In 2004, he became a trustee at the Tom Wathen Center, Flabob Airport, Riverside, California, a nonprofit charity dedicated to bringing challenged young people into aviation careers, becoming its chairman in 2013. He’s an active classroom and flight instructor while continuing to run a successful business. Jon has owned a Piper J-3 Cub, Taylorcraft BC-12D, Stinson 108-3, Beech Queen Air, Beech V35 Bonanza, Navy N3N in the Antique/Classic aircraft category. He actively flies a Navy N3N-3, DC-3, C-47, C-53, T-28, Bonanza, Champ, and Cub, and is an active instructor in all. Jon holds ratings in an ATP, DC-3, MD-11, B-737. CFI, CFII, MEI, with 11,500 hours total with 3,000 hours of tailwheel. John’s interest in aviation was handed down from his father. He grew up with plastic models, advancing to radio control and culminating in his private pilot certificate in 1982. He attended his first Oshkosh convention in 1978, joined EAA in 1982 and became a VAA member in 1988. In 1990, John moved from Minnesota to Indiana and became involved with EAA Chapter 226 in Anderson where he eventually served as Secretary and President. While in Indiana, John received his A&P certificate and worked in technical publications at Rolls-Royce. While working for Ken Cook, Co. in Milwaukee, he also wrote marketing and technical materials for Beechcraft and was privileged to help edit Duane Coles final book. For the past decade, with his wife Susan, they have operated The Rees Group, Inc. in Madison, WI, specializing in the management of non-profit corporations and foundations. John is the past treasurer of the Midwest Antique Airplane Club as well as the current editor of the Brodhead Pietenpol Association newsletter, Cub Clues, the Luscombe Association newsletter and the Taylorcraft Owners Club newsletter. He has restored several aircraft and currently owns and flies a Piper J3 Cub and a Pietenpol Air Camper. 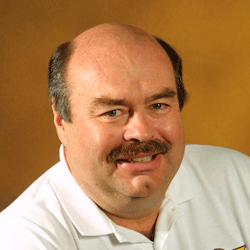 RAY JOHNSON – Director, Marion, Indiana. Ray grew up on a farm near Marion, Indiana & has had a life long interest in old airplanes, having a uncle who took him for his first ride in an Aeronca Defender. He received his private pilots license in 1980 & the same year joined EAA & the Vintage Airplane Association. He was honored with a Bronze Lindy in 1995 & then again in 1996 received Grand Champion Classic Aircraft with his 1947 Aeronca Chief (11AC). Dan Knutson, a pilot of 44 years lives in Lodi, Wisconsin. He can often be found at Knutson Field, named after his father, EAA Hall of Fame Inductee Richard Knutson Dan is there either flying or enjoying an airport picnic. Dan is an accomplished pilot and has participated in the restoration of 22 airplanes, nine of which he still owns. 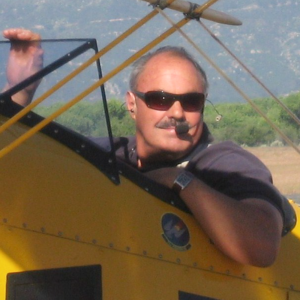 Since getting his piot license in 1973, he has enjoyed studying and owning vintage airplanes. Owning and restoring collector automobies is also a passion for Dan. Dan has a passion for vintage airpanes and is grateful for the opportunity to serve the members of the Vintage Aircraft Association. 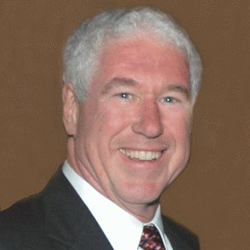 A native of Athens, Georgia, Bob retired as vice president of a Milwaukee-based construction firm. He soloed in 1968 in a Piper PA-11 and holds a commercial pilot certificate. Bob is a lifetime EAA and Vintage Aircraft Association member. He’s also a charter member of VAA Chapter 11 in Brookfield, Wisconsin. As a volunteer since 1981, Bob has designed and managed the construction of additions to the iconic Vintage Red Barn, the Vintage Hangar, as well as other Vintage buildings. For years Bob also managed the Red Barn Gift Shoppe. Bob was also a volunteer at Pioneer Airport, participating in its Young Eagles program with more than 300 missions. He serves as Santa for the EAA AirVenture Museum “Christmas In The Air” program and is on the Vintage Nominating Committee. Bob currently serves as Chairman of Vintage Pioneer Video during AirVenture. In 2009 Bob was a recipient of EAA’s President’s Award. Earl’s love of flying came from his parents who often took their children to airport fences to watch the planes. He began flying in college, but couldn’t afford to continue (at $14.00 per hour wet, including instructor). At the urging of his father he again took up flying at the Stick & Rudder Club at Waukegan Airport (UGN) and passed his private check ride in 1974. Earl served as a board member of Stick & Rudder and later as its assistant treasurer, treasurer, and president. His first visit to the Oshkosh convention was for one day in 1981. He began camping and volunteering on the Vintage Flight Line the following year and joined Vintage in 1987. Earl has held many Vintage volunteer positions over the years including the Daily Aerogram, producing volunteer name tags and computer operations. He currently manages the Vintage website, Vintage AirMail e-newsletter and digital social media. Joe grew up on a cranberry farm in central Wisconsin. Several neighbors had light aircraft, and some had airstrips on their property, so it was always easy to be around airplanes and airplane people. A close friend of the family was the ag pilot Jim Miles (EAA #158), who introduced Joe to EAA by taking him to Oshkosh for the EAA convention in 1970, where they camped under the wing of Jim’s Piper PA-12 Super Cruiser. 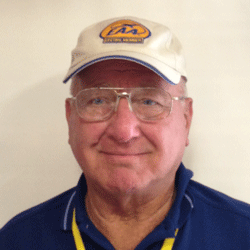 Joe joined EAA in 1976 and became a lifetime member in 2002. Joe is also a lifetime member of VAA (VAA 5982). .Joe earned his private pilot certificate in 1978, and bought his first airplane in 1979 – a 1955 Piper Tri-Pacer. He flew it for about a year and then converted it to PA-20 Pacer (tailwheel) configuration. During this time Joe helped form EAA chapter 706 in Wisconsin Rapids, WI. Over time Joe has earned commercial pilot and flight instructor certificates with airplane and helicopter ratings, as well an A&P certificate with IA. Joe also acted as a DAR for experimental aircraft for a number of years. Joe has been actively involved with EAA, serving as a Technical Counselor and Flight Advisor, and has been an officer in two EAA chapters. Joe has volunteered at the EAA convention for many years, and was one of the 5 original members of the EAA Homebuilt Aircraft Council. .In October of 2001 Joe was hired as a Senior Aviation Specialist in EAA’s Aviation Services department, a job was previously held by long-time EAA employee Norm Petersen. 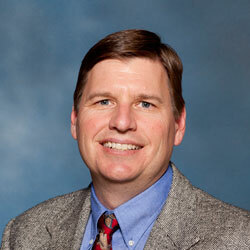 In 2008 EAA created the position of Homebuilders Community Manager and Joe was selected to fill that role. In 2011 Joe decided to get out from behind the desk and back behind the stick, so he left EAA and has been working as a flight instructor at Cub Air Flight in Hartford, WI. Joe currently owns and maintains three vintage aircraft – a Cessna 180, a Piper Super Cub and a Waco UPF-7. He has previously owned a Piper J5A Cub Cruiser and another Super Cub. Joe built and flew a Sonerai II homebuilt and also owned a homebuilt Pitts S-1C. .
Paul’s inspiration in flight came from his grandfather and father who took him to his first Oshkosh convention in 1983. During the late 80’s he started helping his grandfather build a Soneri II. While in college he started taking flight lessons in his father’s 1959 Cessna 150. 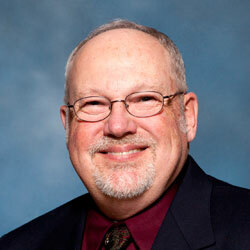 He graduated from Concordia University in Wisconsin with a degree in Accounting, and acquired his CPA license in 2011. He currently resides in Mason, OH, with his wife Stephanie and young sons Ethan and Allon. Paul has volunteered in numerous positions for Vintage, starting with the Antique Classic Division during the 1989 Oshkosh convention, where he worked the Flight Line. Later he started volunteering during the work-weekends in the mid 90’s, and at Tall Pines Café. While he still helps out during the Work-Weekends, his main responsibility is now as Chairman of EAA’s Aeromart operated by the Vintage Aircraft Association. Kevin McKenie got airplane fever early – his first flight was a $5 Discover Flying introductory flight he talked his way into as a 10-year-old. Kevin starts flight lessons at 15, paid for lessons with after school jobs, soloed on his 16th birthday, and became a Private Pilot at 17 – before he had a Driver’s License He has been flying for 45 years and has a Commercial License with ASMEL and Instrument Ratings and a DC-3 Pilot in Command Type Rating. Virtually all of Kevin’s fight tie has involved general aviation vintage aircraft, and the majority of his flight time is in the PT-17 Stearman, N3N, the Ed Marquart MA-5 Charger sport biplane, and the DC-3. Kevin has been an EAA ember since 1981. 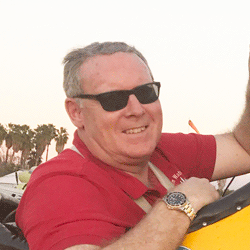 Kevin has been a Trustee at the Tom Wathen Center and Flabob Airport in Riverside, California for almost 15 years and is active as an instructor in The Wathen Center youth aviation education programs. Kevin is a graduate of Cal Lutheran and USC, and has worked as a practicing attorney in southern California for 33 years, including over 25 years defending aircraft accident cases. Bob received a degree in electrical engineering from Illinois Institute of Technology in 1971 and served as a plane captain in P2V Neptune aircraft for the US Navy Reserve at NAS Glenview from 1958 until his honorable discharge in 1962. He joined EAA in 1972 and the Antique/Classic Division (Vintage Aircraft Association) in 1975 after volunteering to work on Convention and pre-Convention flight line duties. He was appointed advisor to the Division Board in 1986 and elected a Director in 1988. 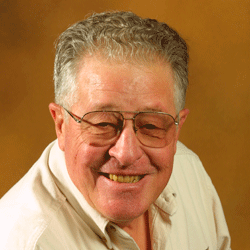 Bob served as Chairman of the VAA Chapter Membership and Information operations during EAA AirVenture until 1998. 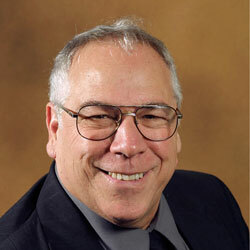 He continues to serve as Director Emeritus and as Chairman of VAA Convention Facilities Maintenance. By profession Bob is an electrical engineer. In addition to VAA involvement, he has served as an officer for several years in EAA Chapter 260 as Secretary and Treasurer, and is currently Vice President of VAA Chapter 26 in Lansing, Illinois. Bob holds a private license with an instrument rating. Phil had a great love for airplanes as a child, his interest included building airplane models. His first ride in an airplane was at the age of 16 in a Fairchild PT-23. Twenty years later, that same pilot, Horace Sackett, was Phil’s guiding light in restoring his 1930 Waco INF. Phil learned to fly in 1962. His original dual instruction and solo flying was in a Piper J-5. He and his wife Ruthie are lovers of Wacos and greatly enjoy flying their 1932 Waco UBA. Phil’s military career consisted of four years in the U.S. Air Force during the Korean War. 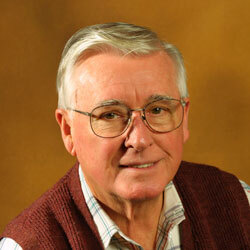 Phil is a lifetime EAA member and began attending the EAA Convention in Rockford, IL in 1962. Phil is currently President of the American Waco Club, Inc. He was appointed Advisor to the Antique/Classic board in 1985 and served in that capacity until 1987 when he was elected Director. Phil has been a volunteer at the Conventions since 1973, serving in various capacities—currently as Antique Judge. He is retired from a lifetime of surveying and engineering projects. The Coulsons live in Lawton, MI. Ron’s interest in airplanes goes back to 1945 when his parents took him to the Muskegon County Airport for his first exposure to airplanes. His first formal instruction was in a Piper J-3 at Wayland, MI in 1957 when he was a freshman in high school. He purchased a Ryan PT-22 and restored it in 1964. His next plane was a 1933 Waco UIC. Ron had the good fortune to be invited to, what turned out to be, the first organizational meeting of what was to become the Antique/Classic Division of EAA. 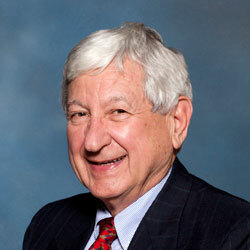 Ron served on the first Board of Directors until 1974. He came back onto the board in 1978 as an Advisor and came up through Director and eventually Secretary. Ron resigned from the board in 1988. During that time he served as History of Flight Chairman and then A/C Forums Chairman until he resigned from those. In Michigan Ron was very active in antique activities and knew most of the classic airplane owners in the state. He organized A/C Chapter 8 and served as its first president. GENE MORRIS – Director Emeritus, West Lake, TexasThe airplane bug bit Gene at the age of 10 when he became an avid builder of models. His first plane ride was in a Bellanca 14-9. 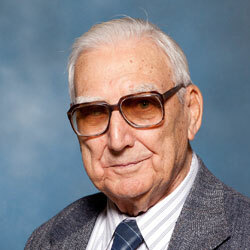 During World War II he worked in his father’s aircraft repair business on what would be some fantastic antiques today. Gene began flying lessons at age 15 and at age 18 had his commercial license before high school graduation. He started flying for American Airlines in 1955 and retired from the airline flying the Boeing 747. Gene has owned several antiques including an American Eaglet, which was named Reserve Grand Champion at EAA Oshkosh ‘76. He joined EAA in 1964 and the Antique/Classic Division in 1975 (now the EAA Vintage Aircraft Association.) 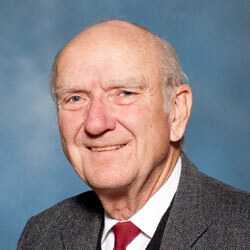 Gene served many years as an Antique Judge beginning in 1977. 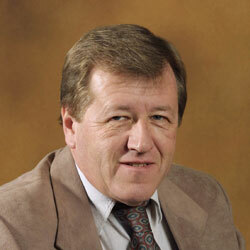 He served the VAA as an Advisor beginning in 1979 and as a Director beginning in 1983. 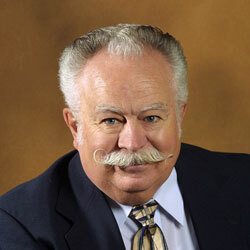 In 1978 he was instrumental in forming EAA Chapter 685 at Hampshire, IL. 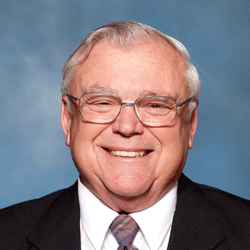 Since 2003 Gene has been Director Emeritus on the VAA Board. Active in EAA since 1956. In the early years Wes was involved with the preparation of Experimenter and Sport Aviation magazines. He prepared advertising programs in addition to a variety of special publications such as manuals, brochures, data books, and other educational and promotional materials. John has been actively involved in aviation since his days as a line boy at age 13. He soloed at 16 and received his private and commercial pilot ratings at 17 and 18 respectively. He flew everything on the airport from Cubs to Aztecs. He has owned several airplanes, including a J-3, PT-22, Champ, Stinson 108-3, Howard DGA-15, Stinson SR-6, and a Beech Bonanza (S/N 67). John currently owns a Spartan 7-W, a Howard DGA-11 and a Waco Taperwing. John joined EAA in 1970 and the Antique/Classic Division (A/C), now the Vintage Aircraft Association (VAA) when it was founded in 1972.He enjoyed flying to Hales Corner for long weekends, working on a variety of projects with Paul Poberezny. John was named to the Antique/Classic Division Board of Directors in November 1979 and served for several years as Director and now as Director Emeritus. His volunteer work at Oshkosh included serving as a Co-Chairman of A/C activities and Chairman of the Picnic Committee. For four years he was on the A/C Judging Committee and he served as Chairman of the A/C Interview Circle. John started working as an airline pilot in 1967 with Allegheny Airlines which was purchased and became US Air. He flew for them until 1998, as a 1st officer and then Captain. John is a lifetime member of EAA and the VAA.